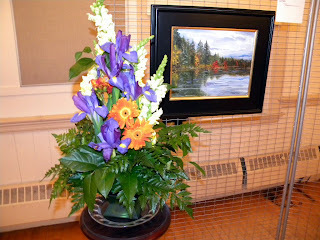 Thought that I would post a few pictures from the first Chelmsford Center For The Arts Exhibition of Art In Bloom which I participated in Friday April 9th through Sunday April 11,2010. 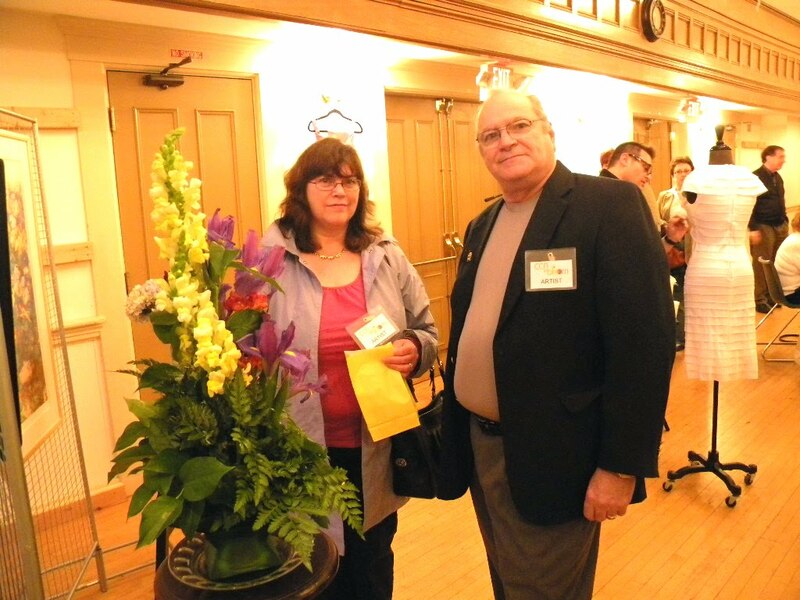 I really enjoy participating in group exhibitions and meeting all the patrons. 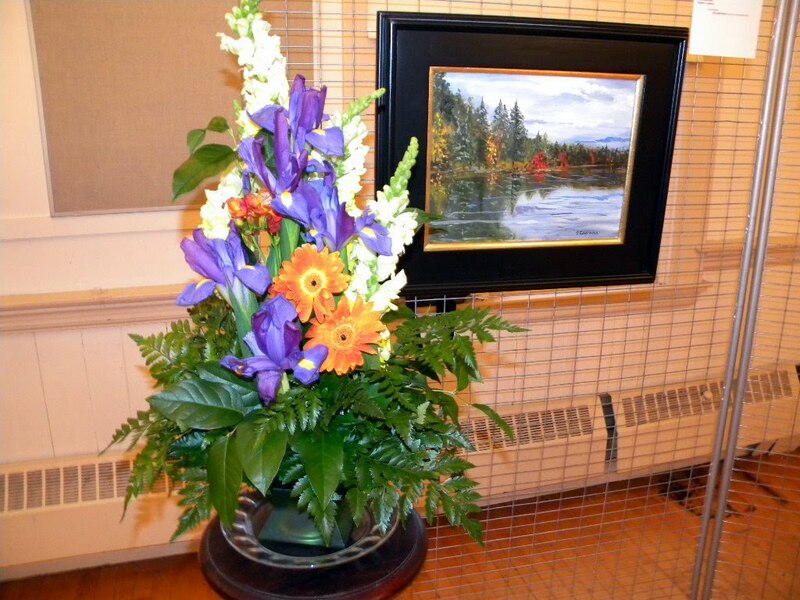 An artist needs feedback on his work and gets a great feeling when others make appreciative comments. 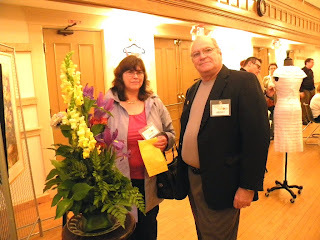 I hope to participate in many more exhibitions as my work progresses. located at the Old Town Hall, 1A North Road, Chelmsford, MA. 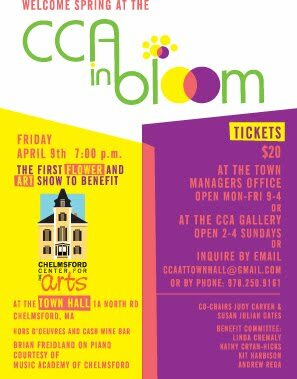 Come by an support the new art center. 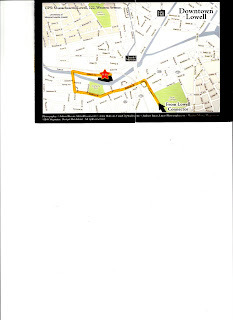 Several people have asked for driving directions to The Western Avenue Studios. 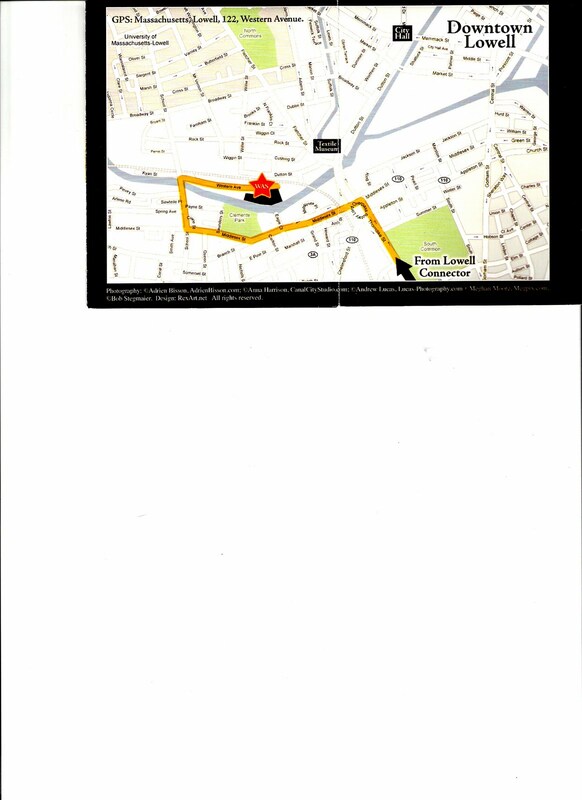 Here are the easiest directions for driving: From the Lowell Connector off route #3, take the Thorndike Street exit. At the third set of lights take the ramp on the right. At the second set of lights at the top of the ramp, turn left onto Middlesex Street. Middlesex street bears to the right just after the Boys and Girls Club, follow it to the first set of lights which is School Street. Turn right on School Street, at the crest of the hill turn right onto Western Avenue. Western Avenue Studios is the five story red brick building at the end of Western Avenue. My studio is #326 just off the common area on the third floor. 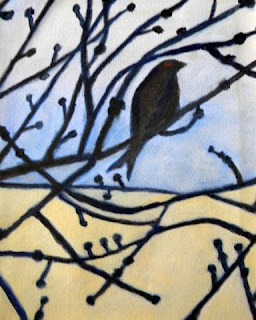 Also inspired by early spring bud bursts and the arrival of song birds my attempt was to silhouette these against early sky colors in a more abstract composition. This is an 11X16 oil on canvas and it is now hanging on my studio wall at Western Avenue. 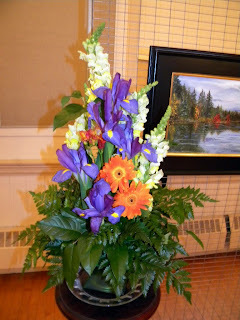 If any of these paintings on this blog interst you please contact me and we can discuss their purchase. 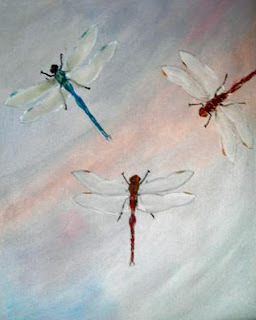 In this 12 X 16 oil on canvas I have tried to capture the beauty of dragonflies. I simply call it "In Flight"/ I am quite pleased with the effect of transparency on the flies' wings. 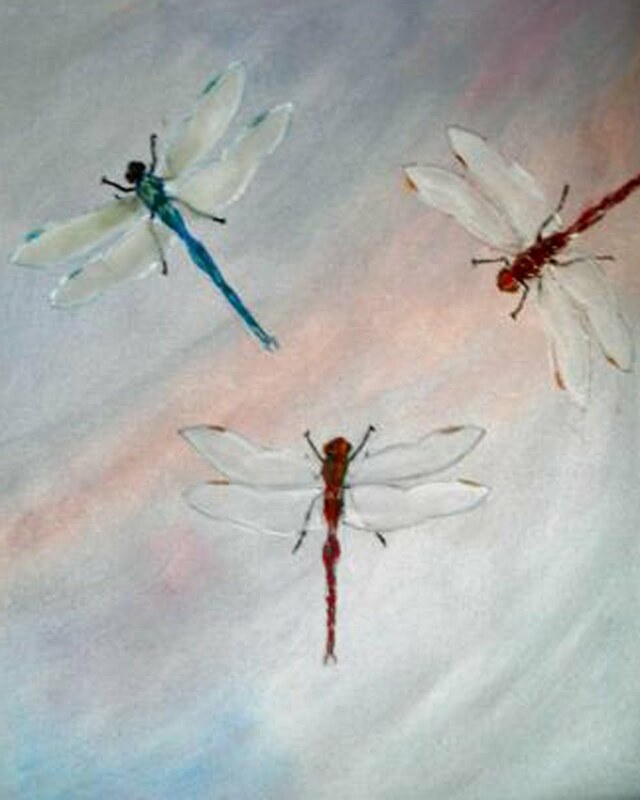 The painting was inspired by the warm weather and thoughts that these beauties will soon visit.